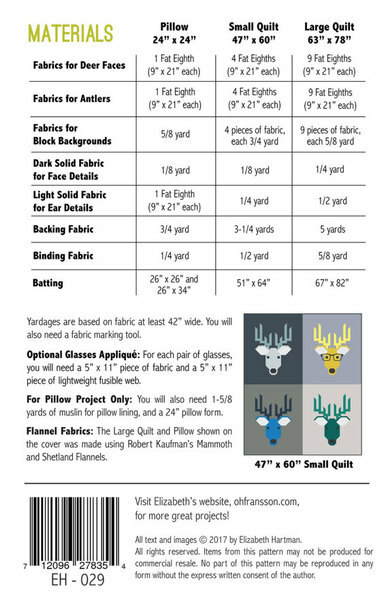 Dwight the Deer includes instructions for making two quilt sizes and a 24" x 24" quilted pillow cover. 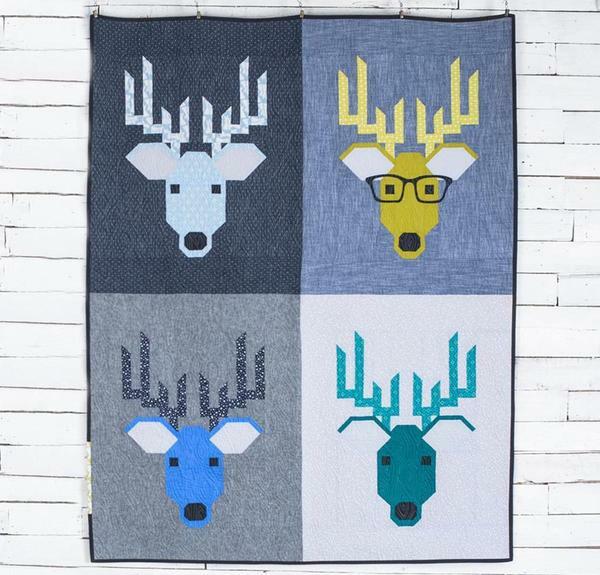 These friendly deer blocks are made using conventional patchwork techniques. No paper piecing! 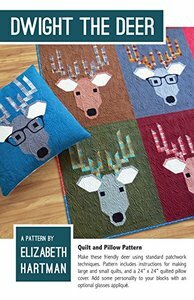 The pattern also includes a complete list of the cut pieces needed to make a single block, making it easy to use scraps or make single blocks for other projects. 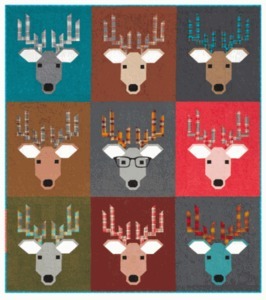 Give your blocks even more personality with an optional glasses applique.